I can’t give a personal story on this chair because it’s something I’ve always wanted but never could find. I missed a chance of buying an authentic one by being a few minutes too late. You can buy new ones now but I’ve always wanted an original one with the stereo speakers. 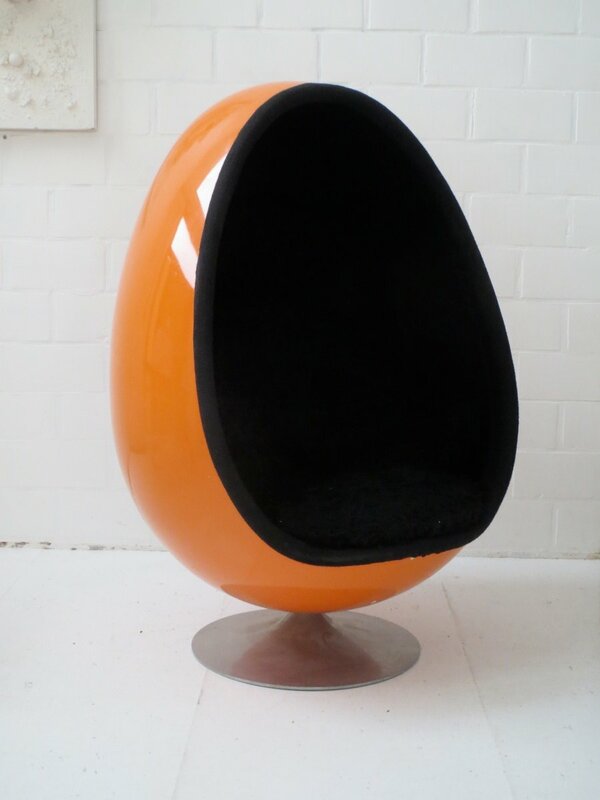 Arne Jacobsen designed “The Egg” in 1958 and today, it’s been trademarked as the Egg™ Chair… It’s still produced in Denmark, by the original manufacturer, Fritz Hansen. 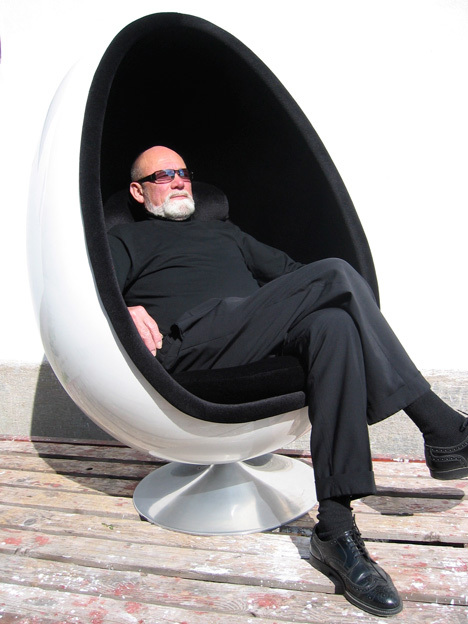 Henrik Thor-Larsen designed his Ovalia Egg Chair ten years after Jacobsen, in 1968. OVALIA was exhibited for the first time at the Scandinavian Furniture Fair in 1968 and was an immediate success. It caught on and became an iconic piece of furniture of the 1960 and 70s. 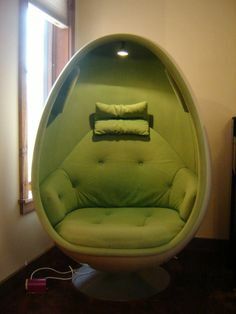 I remember seeing one on Mork and Mindy and of course, they got popular again when the movie “Men in Black” featured several egg chairs. I’ve always liked futuristic designs from the 60s and 70s. I never thought much about these chairs, but now I want one, haha. Besides being great for listening, they look like the perfect comfortable reading spot. It looks cozy. The chair would stick out like a sore thumb in my house, but I’d find a spot for it anyway. Sounds like you have the perfect spot all ready to go. You just need the chair. Yes…it’s one thing that I’ve missed. They are hard to find and there are no bargains on original ones. how cool are they?! Looks like they were pricy back in the day though, still it would be a nice addition to a den or living room!